From the 25th to the 30th of June 2015, “Staff training mobility under the Erasmus+ Programme: Catering Training Course” project was carried out. 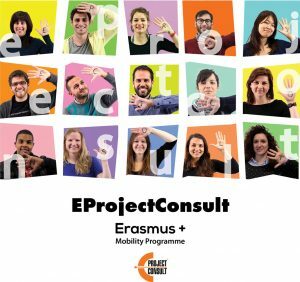 EProjectConsult hosted one teaching staff member (Professor) in the framework of the Erasmus+ Mobility project for higher education students and staff in cooperation with KAUNO KOLEGIJA/ University of Applied Sciences Kaunas, Lithuania. The subject of the training for the participant was catering. The participant had the opportunity to improve skills and expand the knowledge needed for teaching catering and food decor techniques. The workshops were located in the town of Barcellona P.G. and Parco Museo Jalari. The participant attended job-shadowing activities led by chefs of different restaurants and also had an opportunity to assist chefs and cook together. The teacher observed the work in restaurants and coffee shops that specialize in various areas: gourmet foods, pizzas, steaks, desserts. Professional trainers were carefully selected from different fields, in order to provide the participant with an opportunity to observe a great variety of catering sectors. Parco Museo Jalari, Barcellona P.G. Marius il Ristorante, Barcellona P.G. In conclusion, the participant had the opportunity to explore new horizons by integrating in Sicilian culture and meeting a number of catering experts from Sicily as well as to explore potential opportunities for future cooperation between the university and the “A Rocca” organisation. It was a rich and useful experience for the employees of the “A Rocca” Association as well as the representative from Kauno Kolegija. We are looking forward to further cooperation and new projects in the near future!